Panerai introduced a large collection of new watches in Hong Kong for Watches & Wonders 2015, but the one that has Paneristis talking is the new limited edition Luminor 1950 3 Days Titanio DLC with California dial. So called because of its distinctive dial, with combines Roman and Arabic numerals and indicators, the “California” is a design with a cult following ever since it was first introduced in a 1936 Panerai Radiomir wristwatch. Check out this early Panerai 3646 “California dial” seen during a retrospective Panerai exhibition hosted by Harrods, in London last time this year. The new PAM 629 re-introduces the iconic dial, this time in the iconic Luminor 1950 case with lever action crown guard. 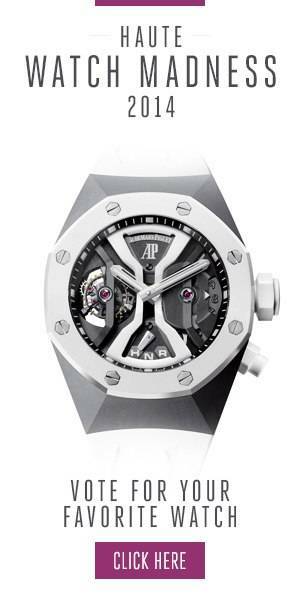 Made from titanium, it is finished with an all black DLC (Diamond-Like Carbon) coating to prevent from scratches. It also makes the watch feel incredibly modern. Wacthes with DLC coating are very trendy these days, not just because of the practical guarantee of the material, but also because of the great look the matt effect produces. However, the dial brings us back into the past. The hour and minute hands contain Super-LumiNova which has been coloured to look like the vintage California. It protects the caliber P.3000, a manufacture movement, built in Neuchatel, Switzerland with a power reserve of three days. The difference the finish makes can be measured when the watch is turned over, to reveal a solid titanium caseback, engraved with the name of the date and town of the brand’s foundation. A limited edition of 300 pieces, the Panerai Luminor 1950 3 Days Titanio DLC 47MM is priced at $11,700 USD or £8,000 GBP in the UK. It comes with vintage-inspired brown leather strap with the Officine Panerai logo and large stitching. Photo Credit: Haute Time. For more information, please visit the official Officine Panerai website. Follow Haute Time on Instagram to catch all of the new releases as they happen.